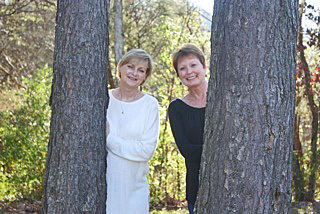 CC Tillery is the pseudonym for two sisters, both authors who came together to write the story of their great-aunt Bessie Daniels Elliott in the Appalachian Journey series and have since continued writing Appalachian historical fiction with their Brown Mountain Lights series. Tillery is their maiden name and the C’s stand for their first initials. One C is Cyndi Tillery Hodges, a multi-published romance author who writes under the pseudonym Caitlyn Hunter. The other C is Christy Tillery French, a multi-published, award-winning author whose books cross several genres. For more information on the Appalachian Journey series, and their individual works, please visit https:cctillery.com or visit their Facebook page at https://facebook.com/cctillery. CC Tillery is the pseudonym for two sisters, both authors who came together to write the story of their great-aunt Bessie in the award-winning Appalachian Journey series and continued writing Appalchian historical fiction with their award-winning Brown Mountain Lights series. Tillery is their maiden name and the C’s stand for their first initials. One C is Cyndi Tillery Hodges, a multi-published author who writes under the pseudonym Caitlyn Hunter. Her books include the Eternal Shadows series and Winds of Fate, all paranormal romances based on Cherokee legends, as well as several contemporary romance short stories and two fantasy novellas. The other C is Christy Tillery French, a multi-published, award-winning author whose books cross several genres. She is the author of The Bodyguard series and the Obsolete series, as well as several standalone novels. Christy and Cyndi were amazed at how well their distinctively different voices meshed while writing the Appalachian Journey series. Of course, that could have something to do with the fact they both felt as if their great-aunt Bessie was sitting beside them dictating the stories as they typed. Aunt Bessie always told them if they had only one drop of Cherokee blood in them, that made them Cherokee, so maybe they did inherit at least a little of the psychic gift she told them was passed down from her Cherokee ancestors. For more information on the Appalachian Journey and Brown Mountain Lights series, the stories and the people the books are based on and their individual works, visit cctillery.com or facebook.com/cctillery. In the waning years of the 19th century, Bessie Daniels grows up in the small town of Hot Springs in the mountain of western North Carolina. Secure in the love of her fathers, resistant to her mother’s desire that she be a proper Southern belle, Bessie is determined to forge her own way in life. Or, as her Cherokee great-grandmother, Elisi, puts it, to be a whistling woman. In the dawning years of the 20th century, Bessie Daniels Elliott leaves her home town of Hot Springs and travel over the mountains with her husband Fletcher Elliott to live in the Broad River section of North Carolina. Bessie assumes her first teaching position while trying to meet the challenges of her new life among the quaint mountain people who dub her Moonfixer. In the second decade of the 20th century, major events of the world resonate even on secluded and peaceful Stone Mountain where Bessie Elliott lives with her husband Fletcher. There’s a great war, one that takes away many young men, including Bessie’s kin, some never to return. Bessie’s role of healer intensifies as she treats those suffering from the Spanish flu and tries to keep it from spreading on her mountain. She defends a young woman who is in the middle of a controversy which threatens to tear their community apart and she also finds herself involved in the Suffragette movement as the women of North Carolina fight to gain their rights under the United States constitution. In the mid 1920s, Bessie and her husband Fletch take in their six-year-old nephew John. They are determined to give him a warm and secure home on Stone Mountain, a place where he will know he is always welcome. It isn’t long before John feels completely at home with his aunt and uncle. But their life is not without turmoil. Bessie’s healing skills are put to the test when a neighbor suffers a mysterious illness, one she and Doc Widby have no idea how to treat. Bessie and Fletch, along with the rest of their neighbors are torn apart by a foe threatening the natural beauty of their mountain. And Bessie confronts a new doctor who is involved with the Eugenics movement, a program she fiercely opposes. In August 1969, medical student Lizie Baker sets off on a trip to Woodstock with her boyfriend and two other couples. When their van breaks down outside of Morganton, North Carolina, the group decides to hike up nearby Brown Mountain while they wait for the repairs to be finished. Lizzie goes on a walk by herself, hoping to get a glimpse of the legendary Brown Mountain Lights. When she unexpectedly encounters one, she naively reaches out to touch it and is thrown back in time to a place and lifestyle she comes to hate–the Antebellum South. You don’t always get what you want in life, and no one knows that better than Lizzie Baker. All she wishes for is to go home, but in order to do that, she has to find the one light on Brown Mountain that transported her back in time from1969 to 1859. When Lizzie’s one opportunity is thwarted, she remains trapped in the antebellum South, a time she’s come to loathe, but that’s not the only reason she’s anxious to return home. The deadliest and bloodiest conflict in American history looms ever closer and she is frantic to leave this place before the Civil War and all its atrocities come to Brown Mountain. Celia H. Miles, Southern fiction author of Saranda and Saranda’s Heart, publisher and editor: This is family based fiction/history at its best…a story that keeps you reading, wondering, hoping, just as if you were there in the community of Hot Springs, NC. Wendy Dingwall, Publisher and author: [The] first sentence grabbed my interest right away…I like stories that offer inspiration and happy endings and this gave me both. Sherry Cannon, reader: This book will grab your attention from the first sentence and never let you down for the entire read. L Brennan, reader: I loved all the characters and I laughed and cried at this endearing, heart tugging (and at times, heart-wrenching) novel about a family in the mountains of NC. Julie Dowdy, reader: A book that truly pulls you into the life of Bessie and makes you feel as if you are living it right beside her. Readers liken the Appalachian Journey series to Wilma Dykeman’s The Tall Woman, Catherine Marshall’s Christy, and Laura Ingalls Wilder’s Little House series with the southern charm of Harper Lee’s To Kill a Mockingbird. “Whistling Woman” is an exquisitely written first-person narrative, which features the voice of Bessie Daniels, the co-authors’ real-life great-aunt. Wise Woman – Feathered Quill 2016 Gold Medal, Best Historical Fiction and Nonfiction. Visit https://whistlingwoman.wordpress.com/presskit/ for contact details, review copies, photos, and an author bio. 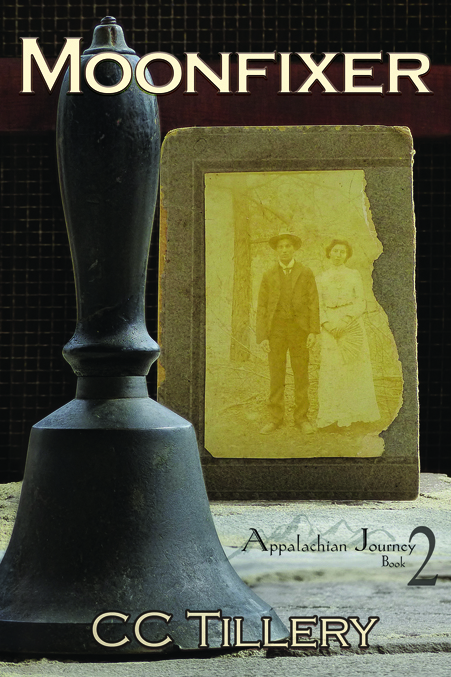 Family stories blend with historical fact to create an authentic glimpse of life in the western North Carolina Mountains in the early 20th century. CC Tillery, author of the Amazon bestselling Appalachian Journey series, announces the third book, Beloved Woman. Set in the Old Fort/Black Mountain area of North Carolina in the second decade of the 20th century, Beloved Woman continues the story of Bessie Daniels Elliott and her life in the mountains of North Carolina with her husband Fletcher. Filled with Cherokee folklore and the natural herbal medicines that readers loved in Whistling Woman and Moonfixer, all intertwined with family stories, Beloved Woman is the story of Bessie’s life during the second decade of the 20th century and into the 1920s. CC Tillery is the pseudonym of two sisters, Cyndi Tillery Hodges of Hendersonville, NC and Christy Tillery French of Powell, TN. 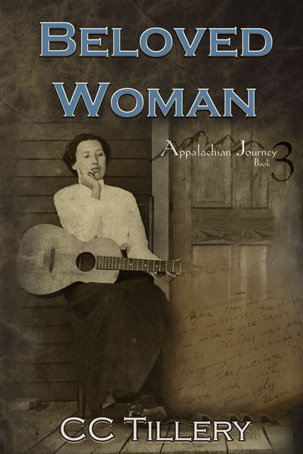 They consider the Appalachian Journey series to be an accolade to their great-aunt and –uncle Bessie and Fletcher Elliott, and a tribute to their father, John Tillery, from whom most of the stories originated. The first two books in the series, Whistling Woman and Moonfixer, have consistently appeared on Amazon and Kindle bestseller lists. The German translation of Whistling Woman, Madchen, die pfeifen, has also earned bestseller status on Amazon.de. The French translation is scheduled to be released in April 2015. The third book in the series, Beloved Woman, became a Kindle bestseller in the first week of its release and the paperback version soon followed. The audio book will be released soon. With the release of Beloved Woman in late December 2015, CC Tillery became an Amazon All-star author. CC Tillery grew up hearing stories of the mountain people from their great-aunt and their father who lived with Bessie as a child. Both published authors, they wanted to make sure those stories were not forgotten. With careful research and tantalizing tidbits about the towns and citizens where the books are set, they have dedicated themselves to telling the story of a time and life in the NC Mountains that today is long forgotten. For more information on CC Tillery visit https://whistlingwoman.wordpress.com/ or contact Cyndi Tillery Hodges at 159 Atwood Drive, Hendersonville, NC 28792. (828) 702-5733. E-mail: cctillery@yahoo.com. Loved first three books!!!! Can’t wait to read more. When will book four Wise woman be out. In some ways Bessie reminds me of my grandmother. She was born in 1899 and raised in rural central Louisiana. Thanks for sharing your family’s stories. Thanks so much, Karen! Unfortunately, we don’t have a date for Wise Woman yet but we will post it here when it comes out. 1899–that’s the same year our grandmother (Jack in the books) was born and Bessie graduated from Dorland Institute. It was an interesting time and even I (someone who hated history in school!) enjoyed researching it! Loved this series. I found myself reading too fast. It is so engaging and you find yourself right there in the story. I can’t wait for the fourth book to come out. Melanie, I’m sorry I missed your lovely comment but glad I finally found it. I assume you are talking about the 4th book in our Appalachian Journey series which was released two years ago. If you read it, I really hope you enjoyed it! Christy and I are so blessed to have readers like you! Kathy, I apologize if we left that impression. We were talking about the living conditions back in the 1800s in the Appalachian Mountains, where people lived in one-room cabins without the benefit of running water or electricity for bathing or hygienic purposes on a regular basis, and passed it (I should have clarified body lice) from one to the other with more frequency than modern times. Certainly it is not caused by poor hygiene in this day and age. I dealt with this issue with my own daughter when she was in grammar school. I’ll go back and re-read that passage to make sure we didn’t mislead. Thank you for bringing this to our attention. Just finished the 2nd book in the Brown Mountain Lights series. Now I M eager for the next one e in the series. Please tell me it is in the works. Being from East Tennessee, I have certainly enjoyed all your books. 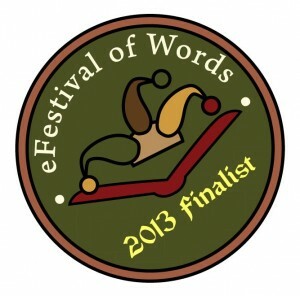 Keep up the good work and hurry with the next one in the Brown Mountain Lights series. Thank you. Thanks so much, Linda! We are working on the third book right now and hope to release it later this year! Thanks for your interest and your lovely comment. We are so blessed to have readers like you in our corner!